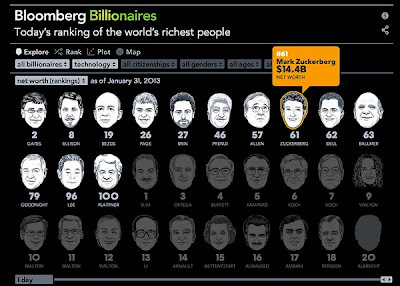 Very slick interactive guide to the world's top billionaires. Recognize anyone? Don't bother looking for The Donald or his combover, this list is strictly for the big playas.